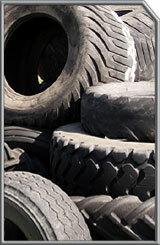 We will collect your used and scrap tyres from the South and Mid Wales area. All car, van, 4x4 and truck tyres will be accepted. We can site containers at your yard and collect when full. These are just a few of our services if you would like to hear more about our services please contact us.